Note to self: If you’ve done this once before, instead of re-installing, why not restore from your backup? In addition to your Pi, you’ll need an SD card reader. Many laptops include a full-size SD card reader. You can use these if you get an adapter/sleeve which makes a Micro SD card fit the full size slot. If you have to buy a USB-based SD reader, expect to spend about $10. The slowest piece of a kit will be the SD Card, and not the Pi. If you can afford it, spring for a really fast UHS-II U3 SD card or a not quite as fast UHS-I Class 10 SD Card. 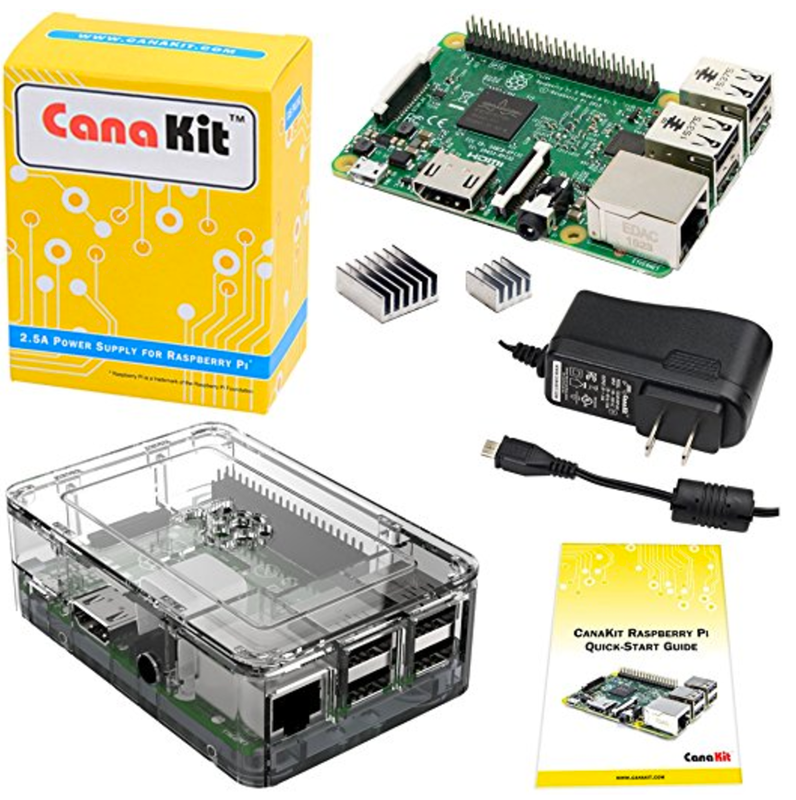 While this will cost more than your Pi, it will save you a boatload of time when writing to it. Note that the Pi can’t actually drive UHS-I or UHS-II voltages, but getting the U3 speed rating will help on the Pi and your laptop will take advantage of UHS-II when it writes the OS image. The Class 10 card will be just as fast in your Pi, but maybe a little slower on your laptop. It is definitely cheaper. I’m using one of these. On your laptop, download Raspbian Jessie Lite from https://www.raspberrypi.org/downloads/raspbian/. These instructions are based on the version of January 11, 2017 (which uses Linux kernel 4.4). Unzip it. This will give you a file named 2017-01-11-raspbian-jessie-lite.img. Connect the SD card to your laptop. If you are using a Linux PC, see Write Rapbian to SD Card from Linux. 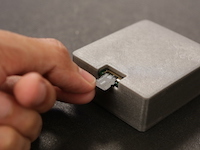 Unplug the SD card from your laptop and insert it into the Raspberry Pi. Be careful. On my Pi, it is easy to miss the connector inside the slot, and then the SD card falls into the case. Then you have to remove the case to fish out your SD card. Connect power to your Raspberry Pi. Wait a minute for it to boot. Connect to your Pi via ssh from your laptop. You might have to check your router’s list-of-clients page, to see what IP address has been assigned to your Pi. If you get “Connection refused” and you are certain you created the ssh file, wait another minute and try again. It takes a while for sshd to start on the initial boot. Note that X-windows setup with Jessie Lite is touchy and prone to not working. Following the incantations below seems to work most of the time. I do want minimal X-windows available for when I need to run a gui program such as gparted. I’ll start/stop VNC manually, since I don’t want X always running. Use the passwd command to change your password from raspberry to your favorite unix password. You might consider enabling ssh Without Password. apt-get update ensures that Raspbian has the latest list of packages and updates. It doesn’t actually fetch packages. It just gets the list. vnc4server is a VNC server. 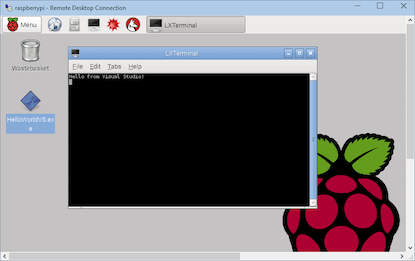 It lets you run a GUI remotely, instead of putting a keyboard and a monitor on your Pi. openbox is a window manager. It lets you do things like resizing windows. Finally, we run the VNC server. This VNC server doesn’t play well with Mac OS X’s Screen Sharing, but the VNC server which does work well with Mac appears to be missing some prerequisites, so it doesn’t work unless you install+run this one first. Using your laptop and your favorite VNC client, connect to your Pi, confirm that you have an xterm. (If you are using a Mac, connect to vnc://raspi:5901.) Disconnect. Continue on your Pi. If you start a VNC session and you don’t see an X terminal, try right-clicking on the desktop. Also try waiting a minute - it is sometimes slow to launch. Select Advanced: Update this tool (scroll down, if necessary). Select Set host name and change it to raspi. Tell it to resize the partition to max size. Review the display: /dev/root ought to have lots of free space. /boot is used just as a boot partition and is very small. From an ssh session to your raspi, update all packages (does not upgrade the OS to a next release) and reboot. Note: I got a big notice about updated certificates, and it asked me to press “q” to quit. I did. I assumed it was just to quit displaying the notice. Configure your router so that it always assigns the same IP address to your Pi. I can’t tell you how to do this (unless you have the same router that I do) because it is different on every model of router. Your router probably has a web-based interface for doing this. On my router, it lives under LAN » DHCP Server. If your router permits, you can also tell it that your Pi is named “raspi”, and then you can connect to “raspi” when you use SSH, instead of connecting to something like 192.168.1.136. This next bit is optional. You’ve spent a lot of time building your Raspbian installation. If you ever need to re-install, you can save yourself from having to do all of this again by making an image of your drive as it is now. Then, when you need it, you can re-load that image instead of having to load the generic image and apply all of these updates. I’m going to tell how to do this for Mac. You can figure out how to do similar operations if you use Windows or Linux. Windows users see this Lifehacker guide. On the Pi, make as much of that image contain zeros as possible (to maximize compressiong in a following step). Note that zeroing your SD card will be slow if you have a large card. Also note that on a Mac, you use “4m” as the block size, but on many Linux systems it is “4M”. If you get “dd: bs: illegal numeric value”, try switching the upper/lowercase of your BS. Move the SD card to your Mac, and use the following, to figure out what disk number has been assigned. I’ll refer to the disk number with the place-holder ‘#’. Note that writing to /dev/rdisk# took about 35 minutes. Writing to /dev/disk# took over 3 hours. Restoring from the gzip to /dev/rdisk# took about 35 minutes.